The mod simply has the purpose of porting all the sound effects straight from Sonic Unleashed. It will be 100% accurate compared to other Sonic Unleashed sound effect mods. 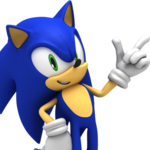 The Sonic Unleashed footstep sounds are more realistic, faster and louder compared to Sonic Generations. I don't think any of other sound effects are really different, but I will port all of them, so that we will be able to see the differences.